When the Central Intelligency Agency decided that it was time to get some foreign bases out of sight of the US public opinion to complete the training of the Brigade 2506's soldiers and pilots -already training in South Florida-, Guatemala popped up on the maps quickly. 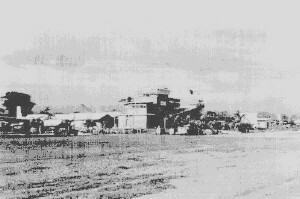 With a similar tropical environment as Cuba, and ruled by a government more than friendly, the 'agency' soon began to negotiate with the Guatemalan government the establishment of two secret bases, one for training the brigade's soldiers and the other, a small air base, to complete the training of pilots. The deal also included the total support of the Guatemalan Army in security matters among other things. The first base to be created was code-named 'JMTrax'. Located on a coffee plantation called 'La Helvetia' in the foothills between Quetzaltenango and Retalhuleu departments, JMTrax served as a training camp for the ground forces of the brigade. Originally, the land on which the base was established, belonged to Roberto Alejos, a wealthy landlord very well connected to the Guatemalan government. 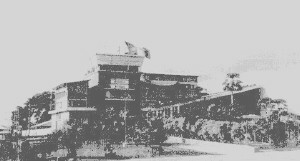 In September 1960, the first troops arrived to JMTrax. The Cubans were flown from Florida to San Jose Airbase and then trucked up to the plantation, where they began advanced military training. At first, the Cubans pilots were there too, since their Airbase was under construction yet, but two weeks after the arrival, they were finally moved. The Airbase, code-named 'JMMadd' (known to the Cubans as 'Rayo Base'), was basically a 4800ft long paved runway, coupled with an array of barracks, warehouses and supply shops scattered around a main building that served as administrative and command center. This base was very near to Retalhuleu city, right between the road to Champerico port and the railroad to Mexico. "...The one runway ran Northwest and Southeast. Not only was it barely wide enough to accomodate a C-54, the runway had a slight crown in it to provide an additional challenge; and at less than 2000 feet above sea level, with temperatures in the 90s, it would have been illegal back home for a C-54 at gross weight. There was no 'go, no-go' desicion to worry about. If an engine failed on take-off, the runway wasn't long enough to continue on three engines, nor was it long enough to get the aircraft stopped before plunging through the fence and down the field at the far end of the air base. Besides, the southeast end of the runway was 150 feet higher than the opposite end, enough of a grade to make it necessary to take-off downhill and land uphill..."
The base's parking ramp proved to be somewhat of a challenge also: Since the only way to accomodate the planes (C-54s, C-46s and B-26s) was lining them up, one behind the other. There was no way to turn an aircraft around. The airbase's main building was located by the midfield, very close to the parking ramp, and as Persons puts it: "...a broad jumper could have make it from the roof of the building to the tip of the wing of the nearest plane...". JMMadd was disguised at all times as a Guatemalan Air Force base, despite the obvious lack of local personnel. 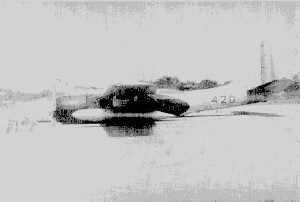 Thus many of the CIA planes based there were painted in Guatemalan Air Force Colors, and in the case of the C-46s, they even gained faked FAG Serial Numbers in the 800 range. On the other hand, the case of the B-26s was somewhat different: the planes had been delivered officially to the Guatemalan goverment, but right after their arrival all but two were 'leased' to the CIA. Thus, the Cubans and CIA pilots involved in the operation trained in aircraft sporting the blue-white-blue colors, while the local Air Force pilots wondered where in the hell the new planes were. 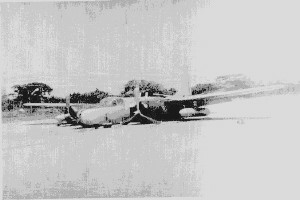 As a matter of fact, and contrary to the official reports, the first Guatemalan B-26 accident ocurred at JMMadd, and not at La Aurora (GAF main base). The plane involved in the incident was FAG 420, a B-26 with dual controls. On that ocassion, the plane suffered some hydraulic problems and the landing gear just wouldn't lower. After some time of struggling with the hydraulics, the Cubans pilots decided to make a wheels up landing. Fortunately both men walked out from the accident without any harm, and the plane was back in service after several weeks of repair. In his book, Albert Persons described the training of the Cuban pilots: "...Most of the B-26 pilots' time in Retalhuleu had been spent instructing Cuban pilots in formation flying and gunnery. Many of the Cubans had limited or no experience as military pilots. Some were short of experience of any kind. The most glaring weakness was in aerial gunnery. As one of the CIA instructors put it, at first the Cubans couldn't hit the side of a barn, some of them couldn't even hit the pasture the barn was standing in. The Cubans had constructed a target of bamboo poles, pine boards, and some 55-gallon drums which they set afloat in a small lake a few miles inland from Retalhuleu. Every day the Cuban pilots attacked the target with six 50-calibre machine guns installed on the nose of each B-26. (This is enough concentrated fire power to knock a steam engine sideways off its tracks). When the CIA pilots arrived, the target was still afloat. The CIA pilots destroyed it the first time out..."
Most of the Cuban pilots were also checked out in C-46s, but their main task was to become efficient B-26 drivers, which they did and had the chance to prove over the skies of Playa Giron. On their part, a group of North American pilots concentrated their efforts in flying supply missions between JMMadd and JMTide, which was the code-name for the CIA airbase in Puerto Cabezas, Nicaragua. These flights were carried out using the faithful Douglas C-54s. The supply flights were scheduled almost enterely for night time, and as Persons says, it was an unforgettable experience, considering that Central America lacked any sort of navigation aids at those times. Besides, the CIA planners had the policy of sacrifice fuel quantity in order to increase the load of cargo. 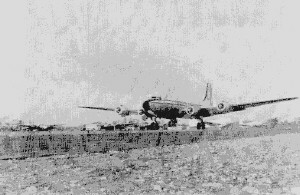 Thus, the C-54s took-off from JMMadd with the exact quantity of fuel required to reach JMTide, carrying 73,000 pounds of cargo, which is the exact maximum gross weight for a C-54. As the reader can imagine, the pilots had to 'hit' JMTide right on the nose or face the consequences. Fortunately, the CIA had installed a homing radio beacon at JMTide, which was used for navigation; nevertheless, sometimes bad weather or someone who forgot to turn on the beacon made things difficult. The returning flight was no different: the only nav-aid the pilots had was another homing beacon installed at San Jose Air Base, and after passing over it, the pilots had to find their way to JMMadd. JMMadd was supplied by C-54s flying from Miami and South Florida. In contrast with the flights between the two secrets bases, these flights were carried out by 'foreign national' pilots, mainly from Europe and Asia under CIA's contract. The end of JMMadd as a CIA secret base began in late March when the B-26 crews were transferred to Nicaragua, and came for good on April 10 when the last troops were flown to JMTide together with all the equipment for the invasion. The Air Base was 'returned' to the Guatemalan Air Force, which made no use of it for several years. However, it now houses the Escuela Militar de Aviacion (Military Aviation School) , and is known as 'Base Aerea del Sur' (South Air Base). If you have the chance to visit it, you will find that the main building is still there together with the narrow parking ramp. However, the only planes you will see there today are T-41 Mescaleros and T-35 Pillans of the Guatemalan Air Force. There are no CIA's B-26 or C-54 around anymore. This article was published for the first time on the LAAHS Website (www.laahs.com). We thanks the author for this courtesy with our site.